Rossford has 4 Tunnels available for both individual and team use, with L screens provided. Balls and pitching machines are not provided. 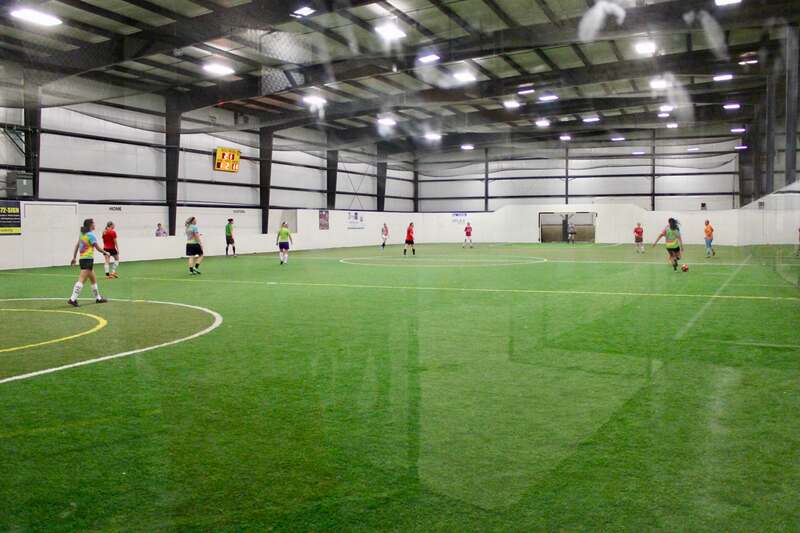 Our Rossford location features two 180 ft X 80 ft, Synthetic turf boarded fields. These multi purpose fields come with a scoreboard and two permanent soccer goals, which can be covered for activities like Box LAX. Baseball and Softball can be conducted on these fields, though live hitting game balls is not permitted for ages 10 or older. 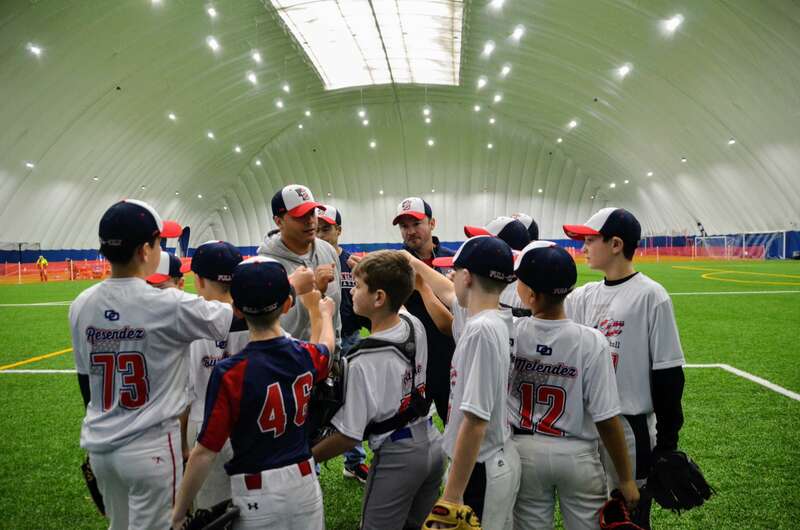 Teams looking for batting practices are encouraged to do so in our tunnels or non-boarded fields. 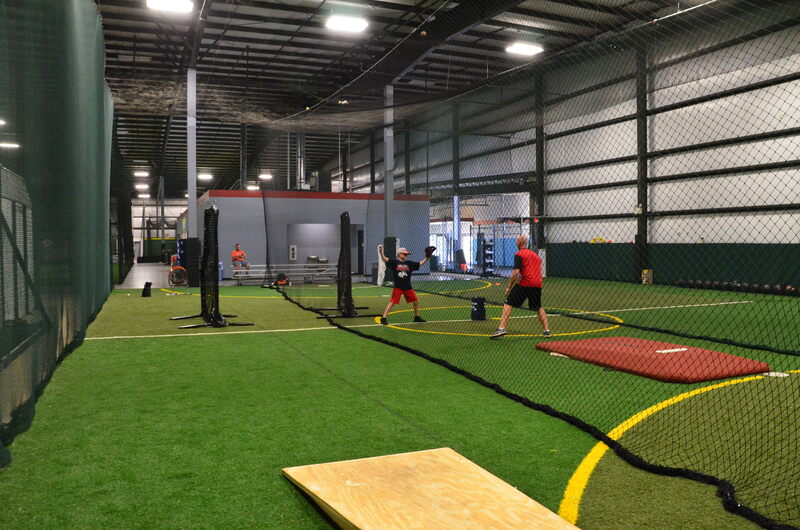 Our main building houses a 193 ft x 104 ft, synthetic turf non-boarded multi purpose(baseball, softball, soccer, lax, football…) field. 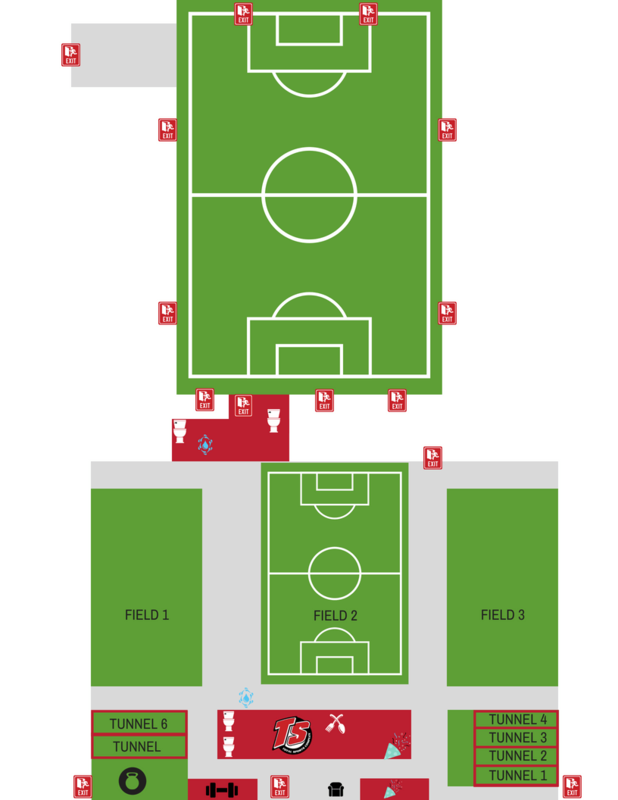 The field is set with a scoreboard and two soccer goals, which can be moved around or off of the space. 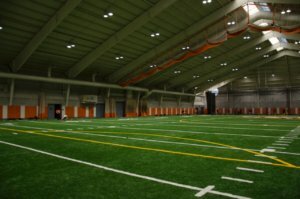 Our main building connects to 84,000 Square foot dome (110 yd x 80 yd) Synthetic Turf Field. 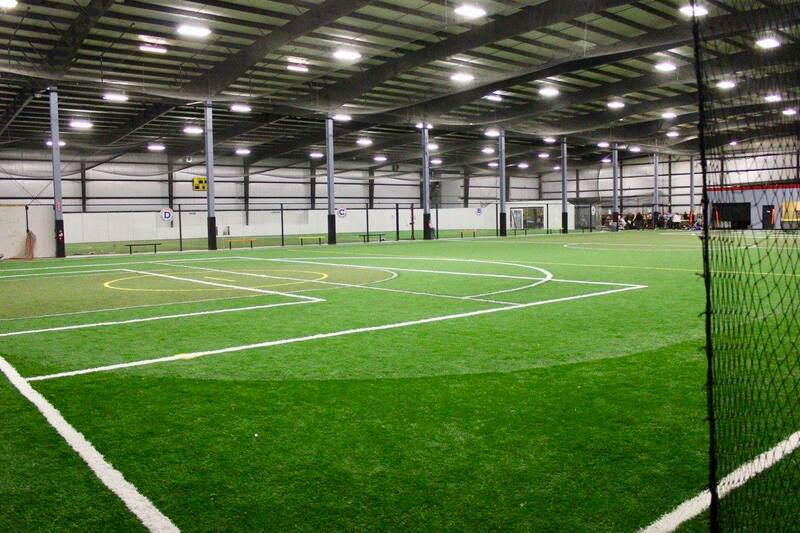 Which includes 6 soccer nets Perfect for one 11v11 soccer game or two 9V9 games. 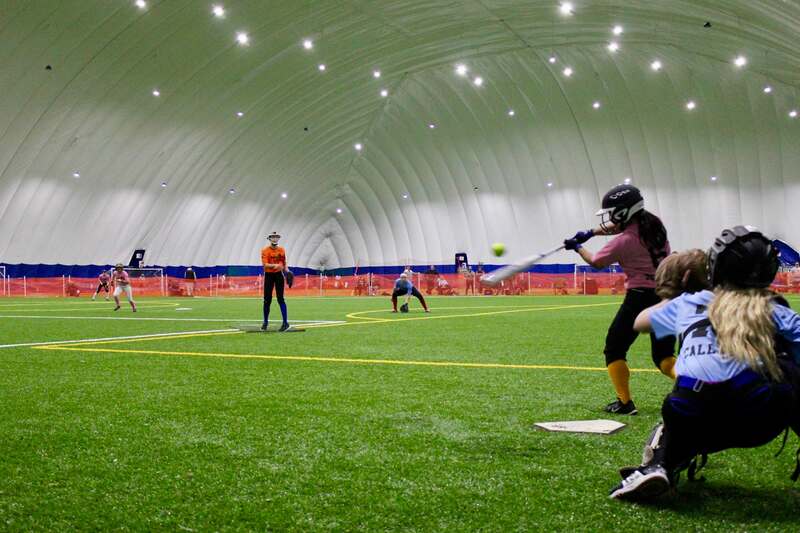 The dome can also host 2-4 softball/baseball games simultaneously depending on the age groups. Special set up including lines on the field, use of netting, moving of nets and equipment can be accommodated for. Additional fees may apply. 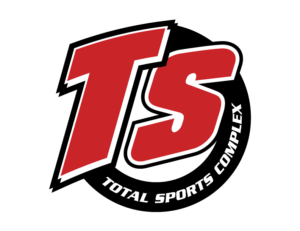 Total Sports is excited to add another resource for this upcoming Winter Session! 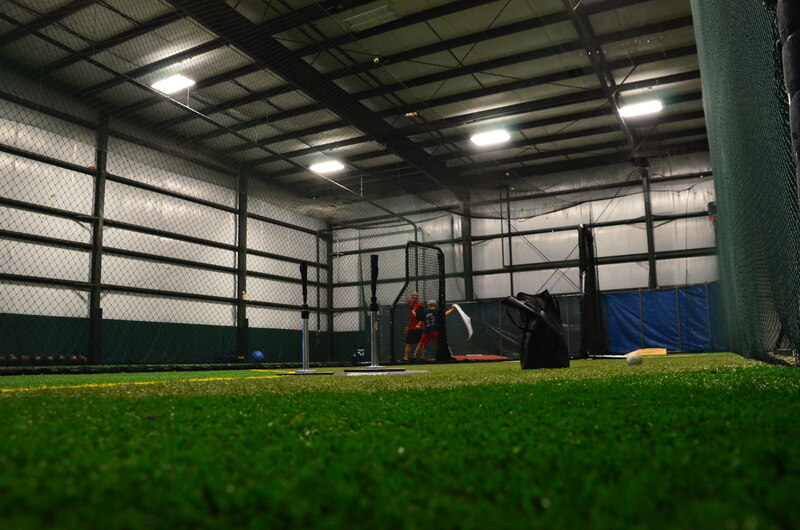 This beautiful facility features a 100yrdx60yd turf room as well as 4 hitting/batting tunnels! Priority Booking – Groups looking to rent space weekly November – April will receive priority booking for dates and times. Subsequent priority will be given to rentals blocking times January – April as well as groups who have rented the previous year. Priority booking must be finalized with a contract signed and deposit submitted no later than October 1st. Rental package rates apply at the time of booking based on the contract agreed upon. Additional rentals would be subject to a new package rate. Spaces are all sold in their entirety. Groups who would like to share space/time can do so at their discretion. Total Sports will ask for one group to hold the contract for billing purposes. Off season practices are booked based on availability. Practices must be booked 1 week prior to the date/time requested. Practices are reserved for boarded fields only.